Your hosts are founders Debra and Phil Willis, and their daughter and son-in-law Andrea and Gabe Cardoza. The partners are lifetime Bay Area residents, proudly serving creative gourmet pizza and the finest classic recipes in a fun, family environment. Now serving gluten-free pizza and beer! Buy a 10-pack of $2-off coupons for $20, sell them to friends and supporters, and we’ll donate $4 to your organization. 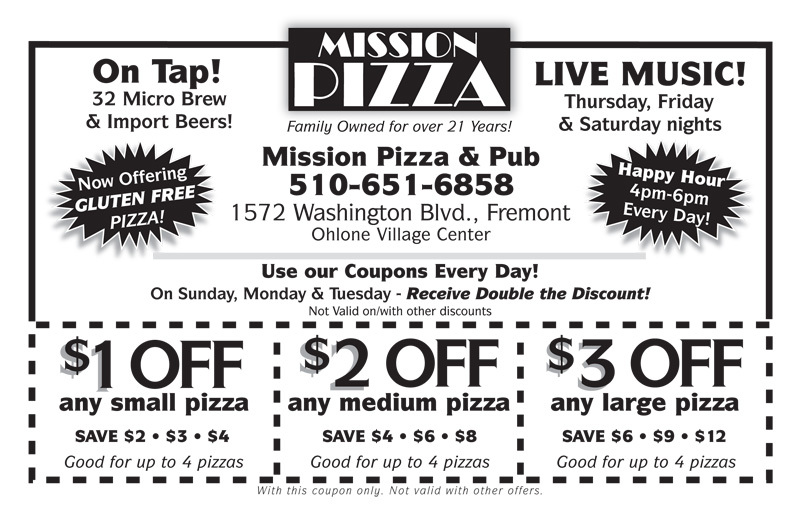 Double Coupon Days: Use our coupons on Sunday, Monday or Tuesday and Receive Double Discounts!